We offer this treatment whereby teeth of poor prognosis are removed, between 4 and 6 implants are placed in either the upper and/or lower jaws with a customised bridge made to fit on top of the implants as fixed teeth. This is done all on the Same Day. A permanent bridge is made 6 months later once all of the gums and implants have completely healed. A typical day begins in the morning with the surgery – something which can be provided under sedation to reduce anxiety – during which decaying and infected teeth are removed (if present) and implants are placed. This should take 2 hours. After this, our on-site dental technicians construct your fixed teeth. During this waiting period you can relax and put your feet up in our recovery room which has a massage chair, TV and refreshments. During the day we will have a couple of ‘trials’ of your new teeth to judge what aesthetically gives the best result, prior to finishing the bridge. Once we are all happy with the final result, the fixed teeth are fitted for you at the end of the day, approximately by 4pm, giving you both a new smile and function. Where are the implants placed how can they be fixed to teeth on the same day? The front segment of the jaws – known as pre-maxilla and pre-mandible – most often has sufficient quantity and quality of bone for the placement of 4 implants – 2 straight and 2 angled. This allows the implants to be extremely stable for your fixed teeth (bridge) to be immediately attached to. We use a world-renowned implant system for this procedure, whose implants and components are best designed for this technique. Is there any need for bone grafting? This concept is fast emerging as the modality of choice for patients with limited bone. They could have had years and years of periodontal (gum) disease. All of the above combine to reduce the amount of bone available for implants. This used to necessitate invasive and, in some cases, major bone grafting. With Same Day Immediate Implants and Teeth in a Single Day there is no need to harvest bone from the chin/back of the jaw or the hip – as was the case for many years – which in turn avoids major surgery related to bone grafting, and eliminating pain by reducing the invasiveness of full mouth implants. 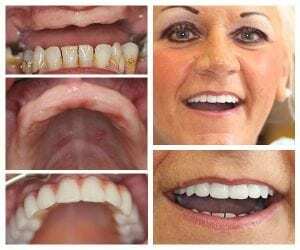 The cost for this treatment from start to finish is £15,000, inclusive of any number of extractions (teeth removal), the Same Day Implants and fixed Teeth, and your final bridge 6 months later. 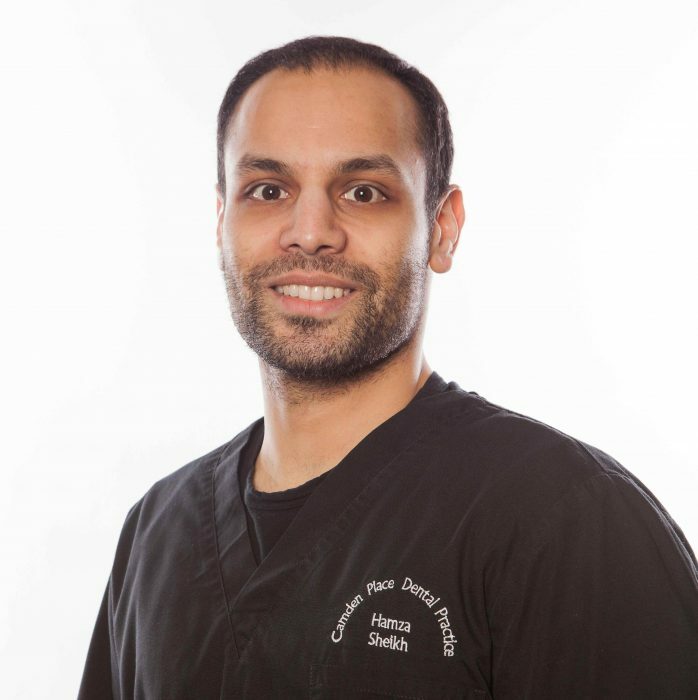 The initial consultation and x-ray imaging to discuss your needs and suitability is COMPLIMENTARY with Dr Hamza Sheikh.